When you see a deal like a whole box of grape tomatoes for 99cents, you can't really ignore it. What to do with a lot of grape tomatoes? 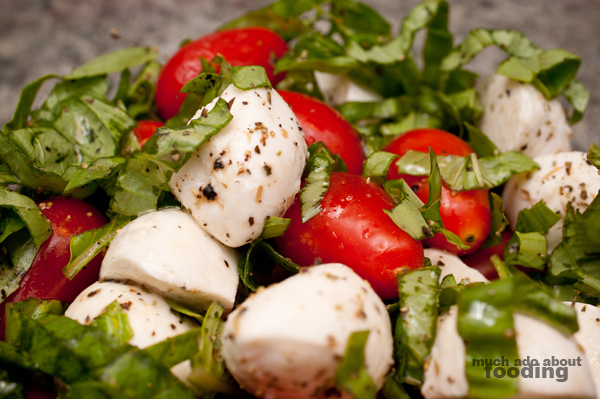 Caprese salad of course! This is a nice, fresh salad with plenty of subtle flavors and personality. This is a simple salad really. Clean your tomatoes and basil. 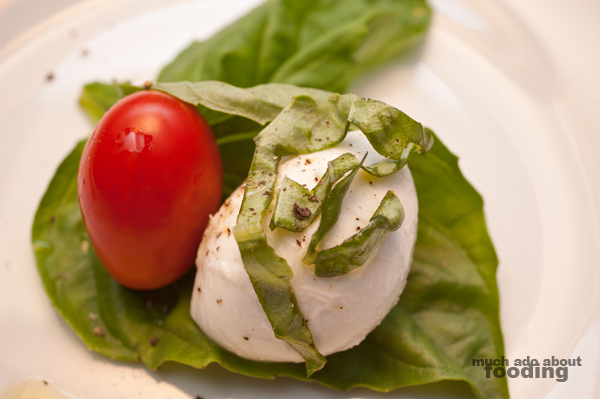 If desired, slice mozzarella pieces in half to match the size of the grape tomatoes. Slice basil into ribbons. Combine all ingredients in a large bowl and mix. 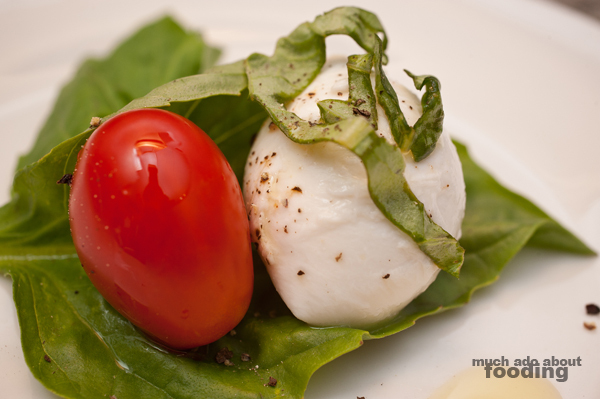 Salt and black pepper will be to taste but make sure to coat in enough olive oil for the basil to cling onto tomatoes and mozzarella. Enjoy cold!